Cindy Cates and Linda Tinkey of Kosciusko Literacy Services show the books for the Plant the Seed, Read! Community Book Read. “Bless Me, Ultima” by Rudolfo Anaya was first published in 1972. His semi-autobiographical, coming-of-age novel is one of the most critically acclaimed Chicano novels. (Chicano refers to a person born in the United States of Mexican origin or descent and is considered a synonym of Mexican-American.) Set in rural New Mexico in the 1940s, the novel tells the story of a boy learning to navigate the changing American landscape during World War II. In his diverse community of farmers, priests, cowboys and soldiers, the boy comes to terms with the cultural, religious and ethical contradictions with the help of an elderly curandera or spiritual healer. Like his protagonist, author Rudolfo Anaya was raised in a New Mexico community heavily influenced by Catholicism and spiritual healers. His father was a vaquero, or cowboy, and his three older brothers served in the war. “Bless Me, Ultima” embraces myths from New Mexican cultures. Myths, magic and miracles in the story are taken from Spanish and Catholic traditions in addition to the native peoples who lived in New Mexico long before the United States was formed. The survival of these myths from various cultures testifies to New Mexico’s multicultural heritage, borne out of long struggles among disparate peoples who fought for centuries over land, religion, and sovereignty. The Read-Alike portion of the book read includes “Matilda” and “The BFG” by Roald Dahl and ties the selections to the production of Matilda at the Wagon Wheel Theatre. The mystical themes are in both the adult selection and the third-grade selections. The Read-Alike portion of Plant the Seed, Read! focuses on third-grade students because these children are transitioning from learning to read to reading to learn. 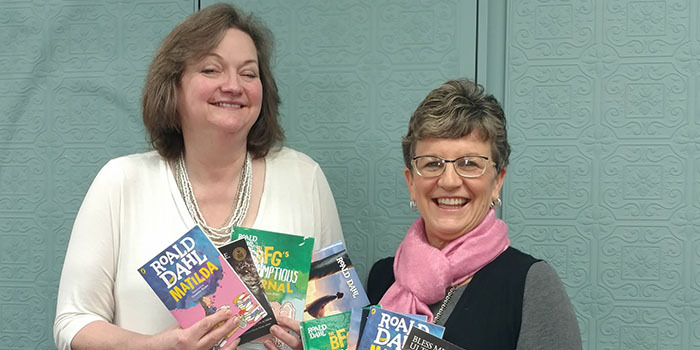 Third-grade classrooms in the county are offered a copy of “Matilda” and “The BFG” by Roald Dahl. Each third-grade student in Kosciusko County is offered a copy of “The BFG Gloriumptious Journal.” To participate, schools need to provide the number of students in each classroom. Students who did not receive a copy through their school may contact Kosciusko Literacy Services. Plant the Seed, Read! is funded by Kosciusko Literacy Services and a generous grant from the Kosciusko County Community Foundation.